A painting thought to be the stolen work of renowned Spanish artist Salvador Dali has been recovered by the Lebanese authorities. Four people were arrested for allegedly trying to sell on the picture, known as Portrait of Mrs Reeves. Police confiscated it last Friday after an investigation in the Cola neighbourhood of the capital, Beirut. Art experts say the picture, if authentic, is a minor work from a series of high society portraits. The piece was probably stolen from a neighbouring country, Lebanese police said. Art historian Lawrence Saphire told Lebanon's Daily Star newspaper that such pictures attributed to Dali usually sold "for a few hundred thousand dollars because they are not considered serious paintings". 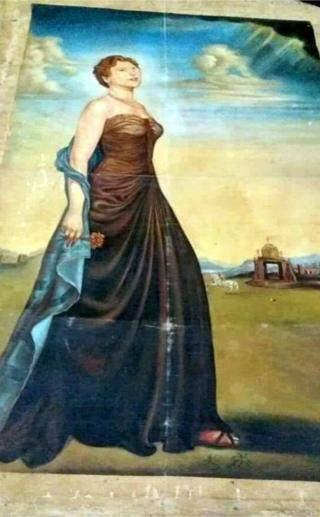 He suggested it was one of the portraits Dali was commissioned to do of high society ladies when he was in America.